Ms Illing’s operatic repertoire demonstrates her knowledge and experience performing some of the genres great soprano roles, including: Alcina, Abigaille, Donna Anna, Elettra, Vitellia, Gilda, Norina, Marguerite, Amelia, Cio Cio San, Liù, Mimì, Nedda and many more. On the concert platform, Ms Illing has performed with Sir Roger Norrington, Sir Charles Mackerass, Sir Neville Marriner, Sir George Solti, Gustav Kuhn and Richard Bonynge, in association with many of the great orchestras. She has appeared in recital at the Aldeburgh Festival, the Melbourne and Perth International Arts Festivals and at the Pacific Music Festival in Sapporo, Japan. Ms Illing has an impressive discography. She has recorded Beethoven’s Missa solemnis under Sir Charles Mackerras, Mahler’s Symphony No 2 under Stuart Challender and German Romantic Arias under Heribert Esser. 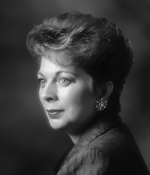 Her recital disc with David McSkimming of Poulenc and Duparc songs was nominated for an Aria award. She also performs the extraordinary Salaambo’s Aria on a 1991 recording of the motion picture score of Citzen Kane. Her solo disc, Amoureuse (a selection of arias from operas of Jules Massenet, conducted by Richard Bonynge) was released by Melba Recordings. Ms Illing also appears as Musetta on the Emmy Award-winning video of La bohème and as Despina in Così fan tutte for ABC Video. She appears as soprano soloist in the recording of the Verdi Requiem with Simone Young for ABC Classics. In 2008, Melba Recordings released Saint-Saëns’ Hélène with Ms Illing in the title role. In 2009 Rosamund sang Ravel’s Scheherazade with Orchestra Victoria and Verdi’s Requiem with the Queensland Symphony. In high demand as a vocal and masterclass consultant and was for the past seven years, a Senior Lecturer at Melbourne Conservatorium of Music. Ms Illing has given Masterclasses in Dunedin, Auckland, for State Opera of South Australia and for Victorian Opera. In 2015, she was principal adjudicator for the Sydney Eisteddfod McDonald’s Aria. Rosamund is delighted to be performing with Melbourne Opera once again, appearing as Elisabetta in Maria Stuarda. Michael Leighton Jones comes from a musical family - his mother was a professional singer - and he received his earliest musical training in Australia. Postgraduate studies, however, took him from his native New Zealand to England, where he sang in the Choirs of King’s College, Cambridge (with Sir David Willcocks) and Westminster Abbey. For ten years he was a member of the London-based vocal quintet The Scholars, before joining the music staff at the University of Queensland. While working in Brisbane, he formed Jones & Co, an a cappella vocal sextet, which has toured both nationally and internationally. He has always maintained an active solo career, performing operatic roles (he created the role of The Friend in Debussy’s operatic sketches The Fall of the House of Usher) and singing in oratorios and recitals, many of which have been broadcast. He sings regularly with Australia’s professional symphony orchestras and chamber music groups. Since his school days he has had an interest in composition, studying with David Farquhar and Douglas Lilburn in Wellington, and later with David Willcocks and Gordon Langford. He has written many original works and arrangements for choir and smaller vocal groups. In 1997 he was appointed Director of Music at Trinity College, the University of Melbourne. Since arriving in Melbourne, he has been much in demand as a conductor for choral workshops and vocal master classes. He was Director of Music at Trinity College, the University of Melbourne, from 1997 to 2014. Marshall McGuire studied at the Victorian College of the Arts, the Paris Conservatoire and the Royal College of Music, London. His London debut recital was presented at the Purcell Room for the Park Lane Group. He has commissioned and premiered more than 100 new works for harp, and has been a member of the ELISION ensemble since 1988. He has performed as soloist with the Australian Chamber Orchestra, English String Orchestra, Les Talens Lyriques, Australian Brandenburg Orchestra, Melbourne Symphony and Australia Ensemble and has appeared at international festivals including Aldeburgh, Melbourne, Milan, Geneva, Brighton, Moscow, Vienna, Huddersfield, Huntington and Adelaide. 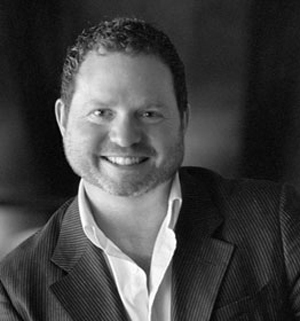 Marshall is founding President of the New Music Network, a member of the Australian Youth Orchestra Artistic Advisory Committee, a trustee of the Hephzibah Tintner Trust and the Peggy Glanville-Hicks Composers House, and was head of artistic planning with the West Australian Symphony Orchestra from 2006–2011.  Marshall is currently Co-Artistic Director of Ludovico’s Band and Director of Artistic Planning at Melbourne Recital Centre. He has performed in caves, on the beach at Orpheus Island, at the Chateau de Chantilly, and in a 12th century chapel in Wales. Playing music in exotic and beautiful locations is his passion. Australian born pianist, David Barnard graduated from his B.Mus (performance) and Advan.Dip.Mus (accompaniment) studies from the Flinders Street School of Music (Adelaide) at the remarkable age of 18, training as a concert pianist and chamber musician with Diana Harris OAM. Other teachers included, Michael Kieran Harvey & Rodney Smith. He was recognised nationally for his outstanding achievements during his study, receiving several awards and medals.At 18, David moved to the UK, where he was based for 13 years, initially taking up positions at British Youth Opera (as répétiteur), the Britten-Pears School (studying chamber music) and a place on the Yehudi Menuhin Live Music Now scheme. 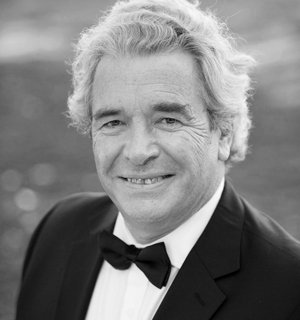 David has collaborated with many high profiled singers and instrumentalists including: Sarah Fox (soprano), Rosamund Illing (soprano), Lesley Garrett CBE (soprano), Grant Doyle (baritone), Richard Suart (baritone), Christopher Lemmings (tenor), Malcolm Martineau OBE (piano), Leslie Howard (piano) & Jim Walker (flute), as well as playing for the masterclasses of Roger Vignoles (accompanist), Teresa Cahill (soprano), Janis Kelly (soprano) and Mark-Anthony Turnage (composer). Some of David’s noted and wide ranging projects have been broadcast on RTÉ (Ireland), BBC Radio 3, BBC Radio 4, BBC Radio Scotland, ABC Classic FM (Australia), 5Mbs Adelaide & 3Mbs Melbourne. David’s extensive skills as an opera répétiteur have seen him work with: British Youth Opera, English Touring Opera, The G&S Opera Company, English National Opera, Opera North, Raymond Gubbay Ltd, Buxton Festival Opera, Opera Australia, Bulawayo Festival (Zimbabwe), and the State Opera of South Australia. Conductors have included: Peter Robinson, Fraser Goulding, Wyn Davies, Oliver Dohnányi, Stephen Barlow, Stuart Stratford, Harry Christophers, Michael Lloyd, Nicholas Cleobury, John Owen Edwards, Richard Balcombe, Arvo Volmer, Graham Abbott & Nicholas Braithwaite. He has also prepared many principal singers from some of the world’s leading opera houses and is increasingly in demand for these particular skills. In October 2011, David was chosen to attend a small reception at Buckingham Palace in the presence of HM The Queen and HRH the Duke of Edinburgh for ‘Significant Australians’ living and working in the UK. 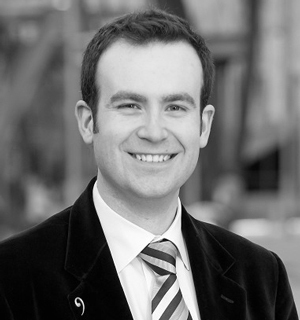 David eventually returned to Australia in 2013 where he was appointed Head of Music for the State Opera of South Australia, eventually leaving to take up positions at the University of Melbourne and Monash University as an active member of staff within the vocal & opera departments. In July 2015 he was awarded a 50th anniversary Churchill Fellowship for further professional development at the opera houses of Paris, Berlin, Milan & Venice. David is currently working towards his P.hD at the University of Melbourne.